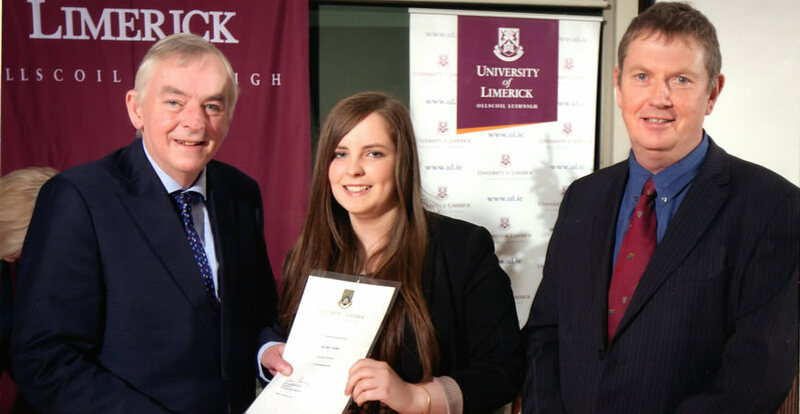 Congratulations to Rachel Warde who received the Entrance Scholarship Award from The University of Limerick for getting the highest points in her course. This is a brilliant achievement and everyone in Laurel Hill is very proud of her! We would like to wish her all the best in the future. Rachel is pictured above with her parents at the award ceremony.